JoAnn Williams has lived in a modest, white-paneled home on Northaven Drive in unincorporated Shelby County for 24 years. A statue of an angel overlooks a manicured yard decorated with a birdhouse and a birdbath. Two tabby kittens wrestle under lawn chairs accented with throw pillows. Williams takes pride in her Northaven home, but for almost two years, she's been living less than 40 feet from a long-vacant, burned-out shell of a house. The county finally demolished the property on July 6th, and Williams couldn't be more pleased. "Every time it rained, that house would smell so bad," Williams said. "And all kinds of burnt stuff would blow into my yard when it was windy." 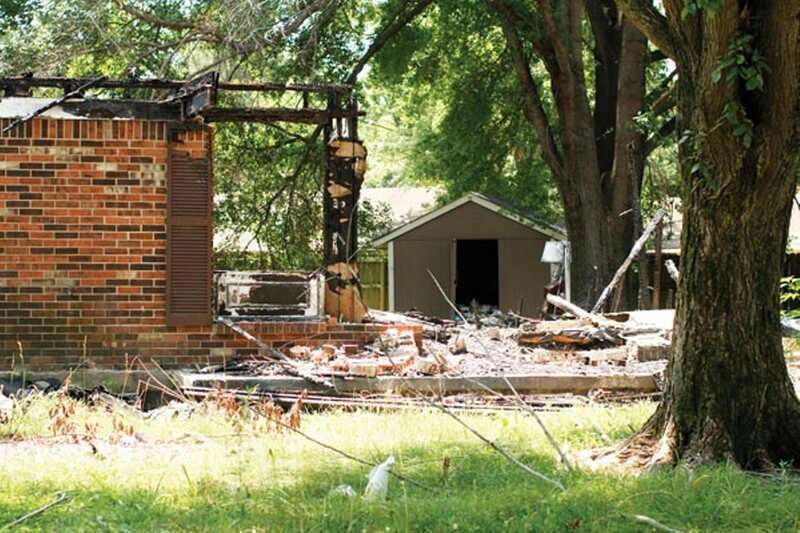 The neighboring home at 827 Northaven burned down just before Christmas in 2009. The home was vacant at the time, and Williams and her husband were out of town for the holidays. The blaze spread to the Williams home, destroying the kitchen, living room, hall, a bedroom, and the front porch. She and her husband were forced to stay in a motel for nine months while their home was rebuilt. And then for more than a year, the structure next door remained as a reminder of the Williams' Christmas fire. But blighted, vacant properties are typical in Northaven, a tucked-away community near Meeman-Shelby Forest State Park north of Memphis. The now-demolished home at 827 Northaven was one of 130 or so vacant properties in the area bordered by North Watkins, Benjestown, Robertson, and East Circle. The neighborhood is host to more 1,200 single-family homes and around 4,000 residents. "Our neighborhood has really deteriorated over the years. The place was so nice when it was first built," Williams said. Many of those vacant homes have smashed windows, doors hanging from the hinges, and piles of old furniture in the yard. Additionally, many occupied homes in Northaven have trash bags piled high along the curb, since communities in the unincorporated parts of the county don't have county-sanctioned trash pick-up. 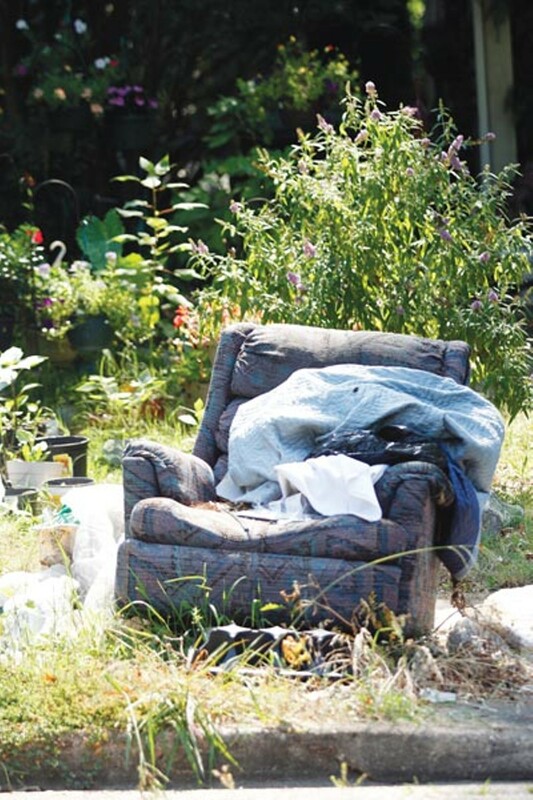 Illegal dumping on dead-end streets around the community creates eyesores, and on some streets, every fifth house or so is overgrown with weeds. Crime is no stranger to Northaven either. Burglaries are common, and gang signs are painted on some of the vacant homes. There are no streetlights in unincorporated neighborhoods, making streets the perfect gathering place for criminals once the sun sets. Now, a group of organized and dedicated Northaven residents is determined not to let their neighborhood degrade any further. They meet each month at Northaven Elementary School to tackle blight and crime issues. Shelby County mayor Mark Luttrell and Sheriff Bill Oldham, who both send representatives to the Northaven meetings, have taken an interest in the aging neighborhood's revitalization. "Somebody put the blade to the ground and took down that [burned down] house on Northaven. It looks nice. And that gives us hope," said Louis Padgett, principal of Northaven Elementary School, at the most recent Northaven Community Partnership meeting. "Sometimes, in this neighborhood, all we have is hope." Perhaps one of the starkest contrasts in Northaven between neighborhood pride and destruction sits on Brandywine Cove. A vacant home, where an iron security door hangs off the hinges and a floor-to-ceiling front window is smashed to pieces, sits next door to a home with a manicured lawn and trimmed hedges. The widowed resident, who asked to remain anonymous, installed bars on her front windows last week. She says the vacant house next door, the exterior of which is spray-painted with gang tags, is a haven for criminals. "Gangs congregate in front of that house. I've had to call the cops because of fights in the street," she said. She depends on her Shetland sheepdog to keep her safe: "If you live in this neighborhood, you have to have a dog in the house." There have been five reported burglaries in Northaven since June 29th, and the resident on Brandywine said she believes criminals are using the vacant homes as stash houses for stolen goods. 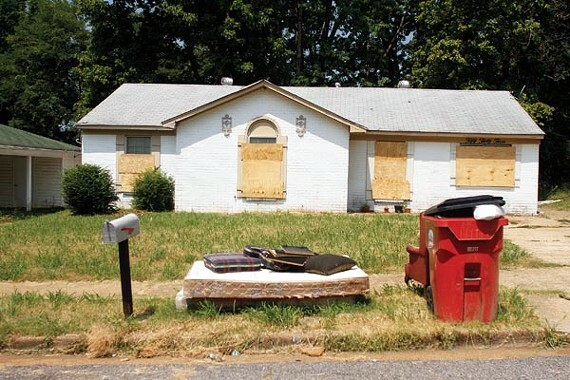 Floyd Bonner, assistant chief of uniform patrol for the Shelby County Sheriff's Office, agrees that abandoned houses exacerbate the crime problem. "When you have that staggering number of vacant homes in a small community, the criminals have all kinds of places to run and hide," Bonner said. Despite the misconception that gangs are an urban problem, Bonner said the county has its share of gang crime too. He said problems often erupt as a result of a rivalry between a gang in Northaven and one in Frayser. "I do have overtime details that work in that area," Bonner said. "We look at our data-smart policing package every week to identify crime hotspots, and right now, one of the hot zones is right outside of Northaven in the Kingsway Green [trailer park]." The county mayor's office is well aware of the crime and blight in Northaven, but there's only so much they can do. Blighted and vacant houses are often cited for code violations, and county inmates are sent out occasionally to cut overgrown grass. When county code enforcement is able to locate negligent home owners, they leave certified notices on the door of the property. If the owner refuses to clean up, he or she is taken to Environmental Court. "When a property is brought to court, if I determine they're in violation of the law, I will put them under court order to maintain the property in an appropriate manner," said Environmental Court judge Larry Potter. "If they violate that order, they can be cited again and charged with contempt. They can face the possibility of up to 10 days in jail." But often in Northaven, negligent property owners cannot be located. "The mayor's office has done a lot of work trying to locate the owners of these vacant homes, but a lot of them are owned by a bank in California, which has no vested interest in the community. It's an impossible task," Bonner said. When the owner cannot be found or simply refuses to clean up the blight, the mayor's office would prefer to assume the property through the county land bank. But property rights favor owners, regardless of how negligent they may be. "It's a laborious process. If we identified a property today, it might be two to three years before we could get claim to that property to do what we can with it," Luttrell said. "Once we get to it, we can move pretty quick. But getting the property is hard." Besides the problems that come with vacant houses, there are plenty of occupied homes adding to the problem. Residents in unincorporated parts of the county must contract for their own trash pick-up, since the county doesn't provide the service. Overfilled trash bags litter curbs throughout Northaven because many residents refuse to pay for service. "A lot of that comes down to expense. When it comes between paying the bills or paying for trash service, most people will pay the bills first. But then that has an effect on the neighborhood and everything starts to slide," said Steve Shular, Luttrell's public affairs officer. Much of the housing stock in Northaven is rental property, and some homeowners say that trash piles are the fault of landlords who don't inform their tenants about the need to pay for their own service. "People who own these homes and rent them out should include the price for trash collection in the rent," Williams suggested. She pays $87 every three months to have her trash collected. Other residents have suggested the county add trash pick-up service for the unincorporated parts of the county. But District 4 county commissioner Wyatt Bunker said that's not an option for the budget-strapped county government. "I've had residents ask me if I would mandate county trash service, and I told them no. You've probably got 90 percent of the people in the unincorporated county who just want to be left alone, and they handle their own trash service," Bunker said. "And there's that small five to 10 percent of them who are unwilling to do so. 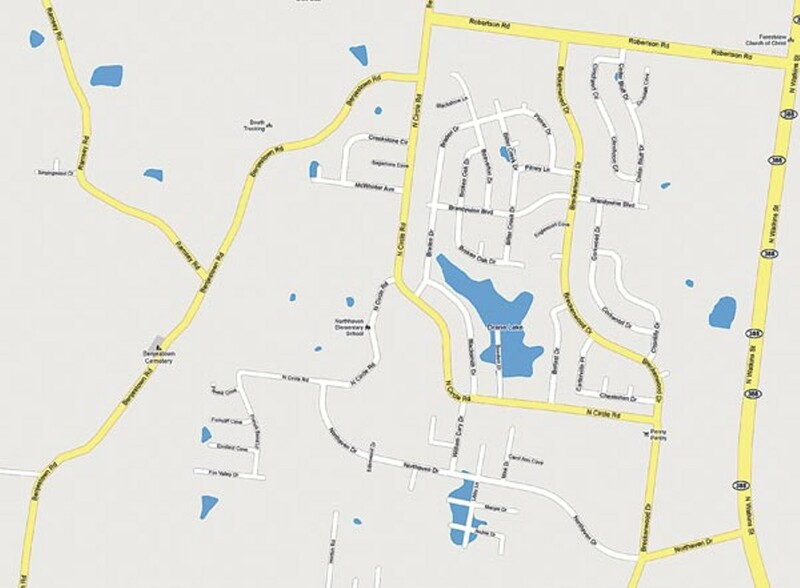 It seems like a lot of that is concentrated in Northaven." District 4 county commissioner Terry Roland, who lives near the area, said the county sent a few trucks to the neighborhood last year to pick up trash, but that was only a temporary fix. "We put out fliers so people would know they could bring old furniture to throw away," Roland said. "But it's a never-ending problem." Since garbage piles can lead to issues with rats and other vermin, those complaints are handled through the Shelby County Health Department. As with code violations, homes with excessive trash are cited and occupants are taken to Environmental Court. "The health department won't remove the trash, but we will continue to cite," said Tyler Zerwekh, administrator for environmental health at the county health department. "Judge Potter is pretty aggressive, and he'll make a court ruling that you need to get trash service and get it picked up." Padgett, who runs the Northaven Community Partnership meetings, suggests trash and home maintenance issues may be better solved with a little community training. He says families who were pushed out of downtown's demolished public housing projects, like Dixie Homes and Hurt Village, occupy many of the problem homes. "These people moved out here with no training," Padgett said. "When someone has always taken care of your property and cut your grass, you don't know how to be a homeowner." Despite the frustrating legal struggles of clearing up blight, a handful of dedicated residents in Northaven do their part to keep the mayor's office informed of problem properties. 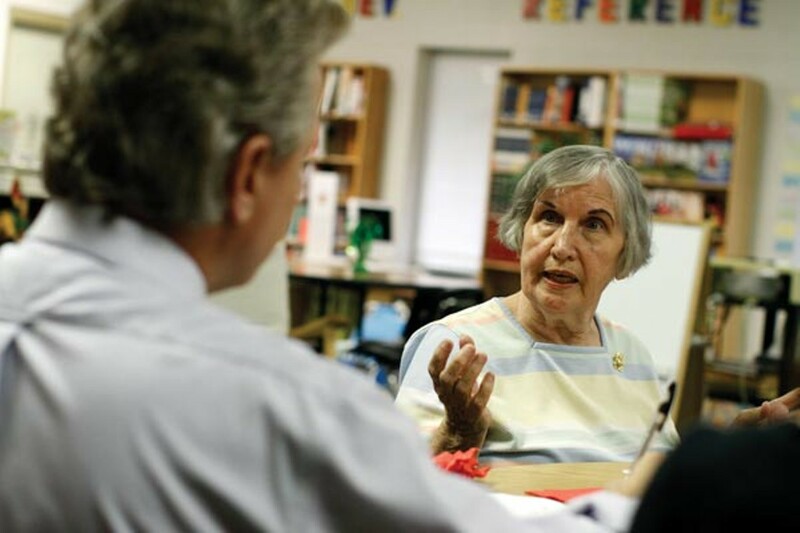 Seventy-five-year-old Leah Stricklin, whom Shular has dubbed the "grand matriarch of Northaven," works directly with the mayor's office to document problem properties. 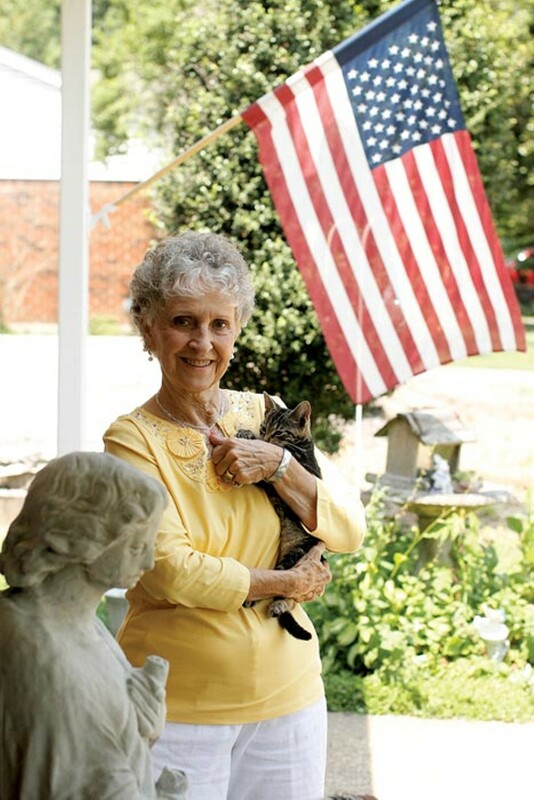 "We stay on top of people here," said Stricklin, from the comfort of her tidy living room on Northaven Drive. "People don't know when I'm coming or going because I come at all hours." She's lived on Northaven Drive for 30 years, and nearly 10 years ago, she got fed up with watching her community deteriorate. At the time, she was living across the street from a vacant house filled with dead cats that had been left to starve by the previous resident. "It was just filthy. Another neighbor and I tried to get it cleaned up, but we couldn't get any help. 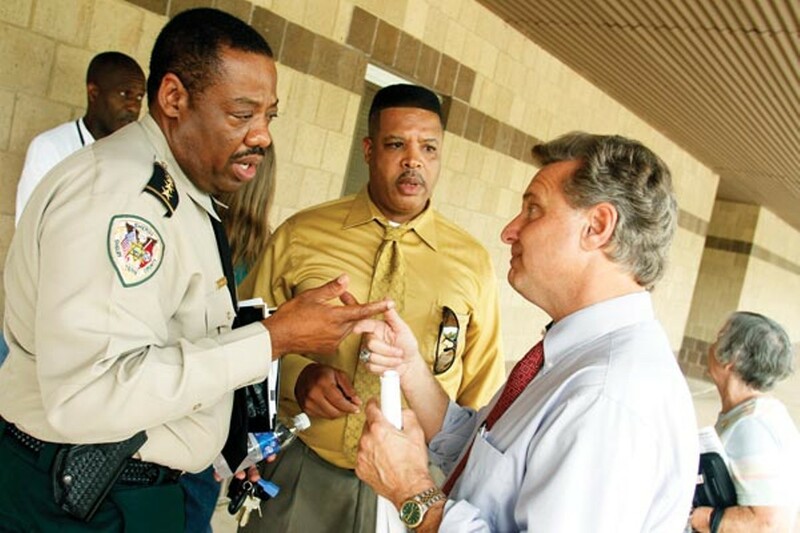 So I said I'm calling the Sheriff's Department," Stricklin said. That was the beginning of a continuing relationship between Northaven residents and now-county mayor Luttrell. 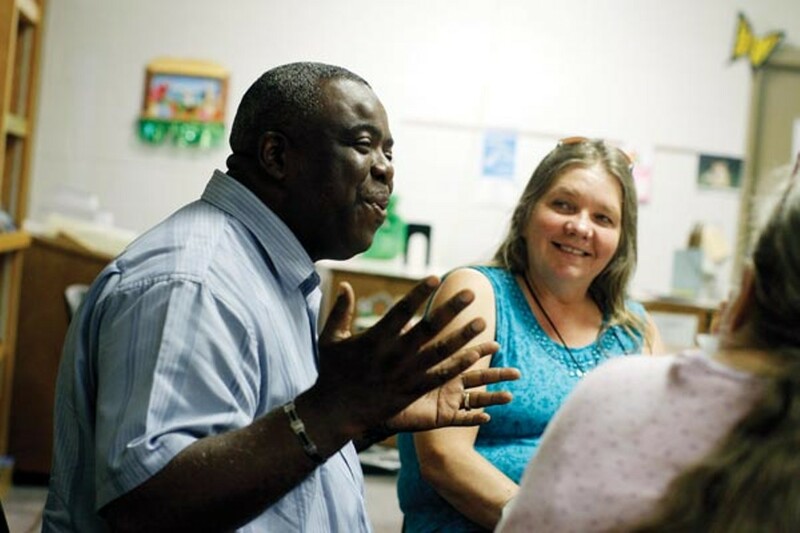 The house was cleaned up, and Luttrell and Shular took on the community as a personal cause. "We went out there when I was sheriff and focused on the blighted properties. 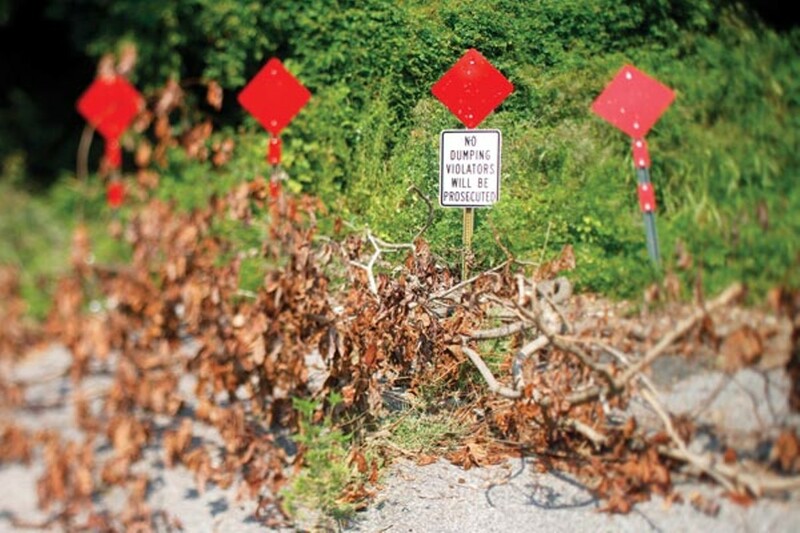 We did what we could do to shut some of those houses down," Luttrell said. "When I became mayor, I told [Shular] that I wanted to continue to embrace Northaven and shift our emphasis to not just public safety but to expand it to focus on the environmental aspect and the livability and sustainability of it." 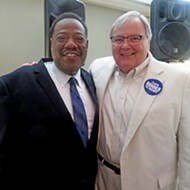 Shular became a fixture in the neighborhood, and he makes frequent house calls to longtime residents. He affectionately refers to Stricklin as "Aunt Leah." "House calls are the name of the game. 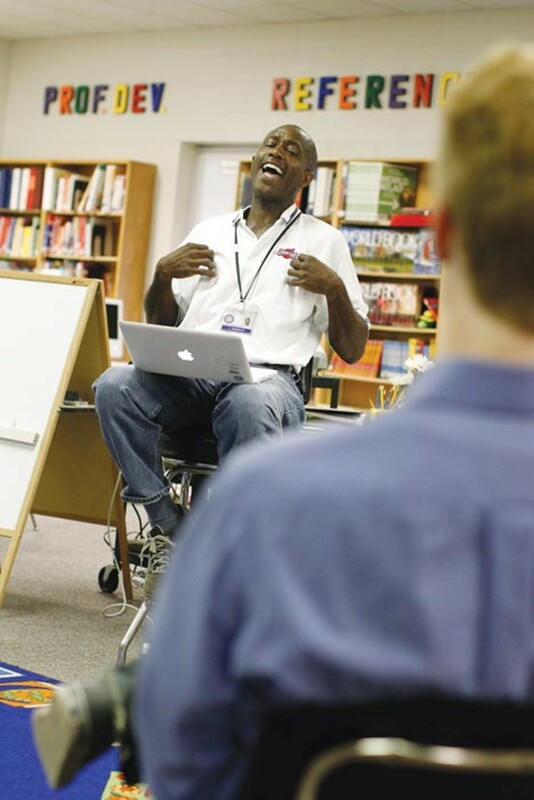 You have to build relationships with people to make change," Shular said. Neither the county mayor's office nor the Shelby County Sheriff's Office are willing to give up on Northaven. "When you drive around Northaven, you see blighted properties. But you also see properties where people are trying to take care of their yards and are taking pride in home ownership," Luttrell said. "I try to look at the glass as half-full." 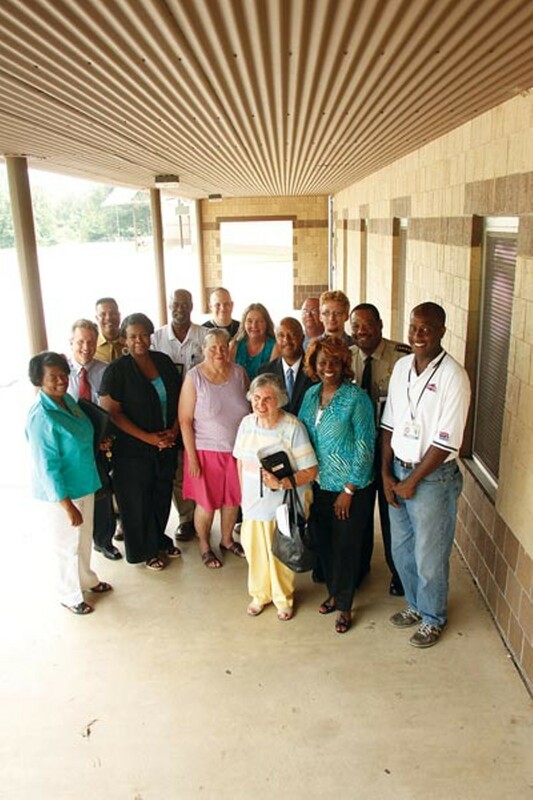 Six years ago, representatives from the county mayor's office, the sheriff's office, the health department, and code enforcement began meeting monthly with concerned Northaven residents to address community blight and crime problems. 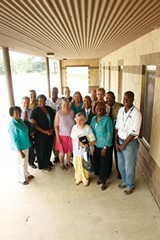 The Northaven group is one of seven citizen-government agency partnerships in the county. 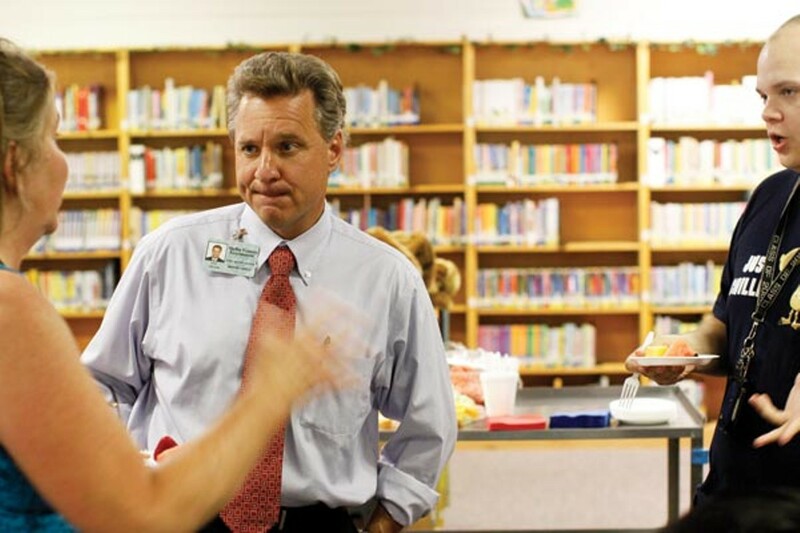 Last week, the Northaven partnership met in the library of Northaven Elementary. Stricklin, Shular, and Bonner were there, as well as a handful of residents invested in the future of their small neighborhood. During the course of the hour-long meeting, health department and code officials listed problem addresses and informed neighbors what was being done. Meeting moderator Padgett invited a surprise guest to the meeting: Michael Ellis of Impact Baptist Church. "The biggest need we see is that God is leading us to Northaven," Ellis told the small crowd, as he unveiled plans to build a new Impact Baptist Church next door to Northaven Elementary. The neighborhood has no church now, but this one would include a family life center with a gym, classroom, and food pantry. At the meeting, Padgett touted the need for a place for kids to play. "This will give kids a safe place to play sports and not have to worry about getting jacked," Ellis said. Residents were given other positive news. A representative with Clean Memphis proposed a neighborhood clean-up, and Shular said the county could provide 50 inmates, as well as people court-ordered to perform community service, to help. Shular also told the crowd that, once the new Northaven fire station is built, the old building could be used as a community center. Though not addressed at the meeting, the Shelby County Commission also has some good news for Northaven. "We passed an ordinance on second reading [last week] to allow Judge Potter to make fines on top of fines," Bunker said. "That will target property owners who are habitual offenders and have the ability to fix their property but are just snubbing their nose at the court." And Luttrell said he'd continue to push for legislation that would assist the county in going after negligent property owners. "One of the things we have attempted to do this past legislative session and one that we'll be addressing more aggressively in the future is what we can do to speed up the process of removing blighted properties through the legal system," Luttrell said. At the partnership meeting, Padgett, ever positive, turned the attention to properties in good condition: "Of the 132 vacant homes in Northaven right now, I'd say 60 are above board. We're begging for some nice neighbors."